The Velveteen Rabbit is at the Marriott Theatre! Lincolnshire is usually outside the area that Kidlist covers, but I continue to be impressed with the productions there and would consider it worth the drive. When Steve comes upon one of his long lost toys, it sparks a memory that takes him back in time to when he was an inspired 6-year-old. We meet his 12-year-old brother, Ben, a typical tween who’s more interested in playing videogames and meeting girls then playing with his little brother. Left alone with his toys, Steve’s imagination leads him on exciting adventures with his new best friend, the Velveteen Rabbit, whose dream is to someday become “real”. 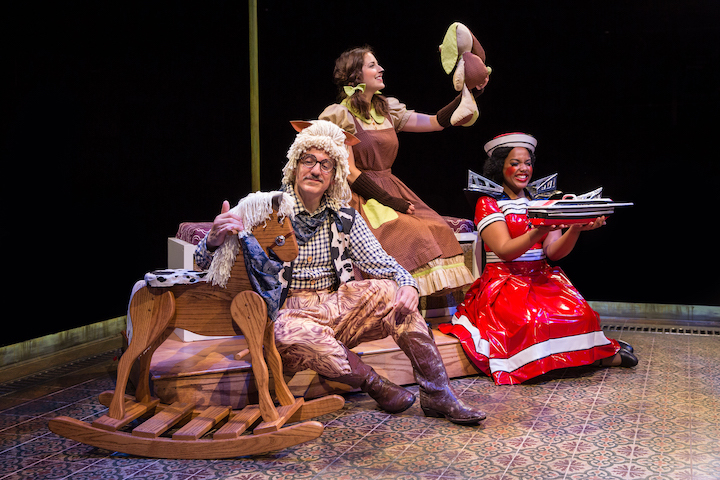 As Steve and the Velveteen Rabbit’s bond grows, the other toys’ spirits are brought to life on stage as they learn what it means to love, and be loved in return. Return to a simpler time with this heartwarming retelling of the enchanting children’s story, reminding audiences of all ages of the true power of love. The Velveteen Rabbit is about an hour and does not have an intermission. There is a question and answer section after the play and your kids can ask the actors questions, which is a nice addition to the performance. The Velveteen Rabbit sparked my kids’ imagination and they spent the whole way home talking about what they saw in the clouds on the way home. It warms my heart when things we do together inspires them. The story is endearing and the actors are talented in presenting it! Both the songs and characters are enjoyable and my family felt it was great for all ages. The Marriott Theatre for Young Audiences provides quality performances and even has live music to enhance the experience. I would also add that the theater is chilly, so dress accordingly (maybe a little sweater or sweatshirt just in case?). 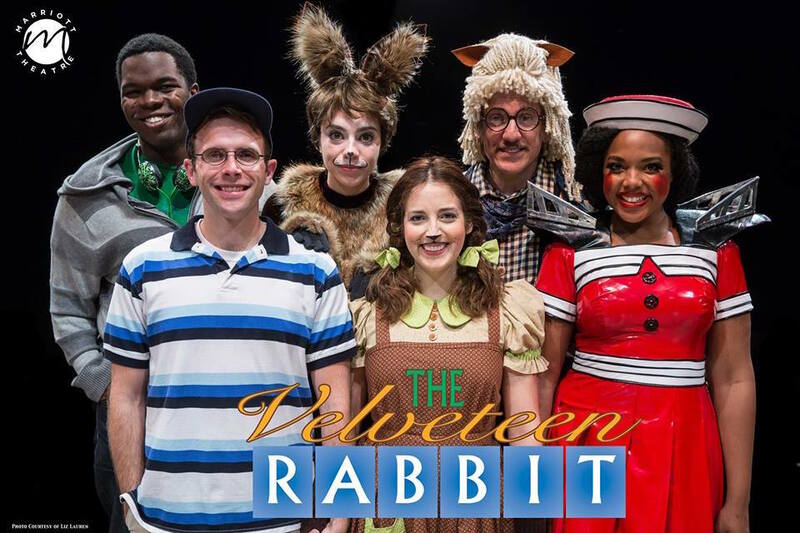 The Velveteen Rabbit plays most Tuesdays through Sundays at 10 AM now through August 14, 2016. July 28 is a special hearing impaired interpreted performance. Visit MarriottTheatre.com or call (847) 634-0200 for exact schedule, as show times and dates vary. Single ticket prices are $17.23 per person (includes fees and taxes). Groups of 20 or more receive a discount by calling (847) 634-5909. Free parking is available at all shows. To reserve tickets, call the Marriott Theatre Box Office at (847) 634-0200 or visit www.MarriottTheatre.com. This post and photographs brought to you by The Marriott Theatre for Young Audiences. Be the first to comment on "The Velveteen Rabbit: Performance for All Ages"